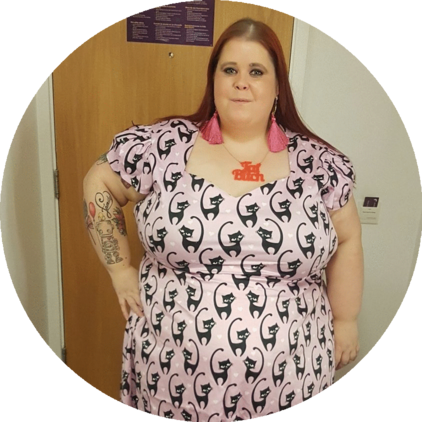 A few weeks ago the lovely ladies behind The Gemma Collins Collection got it touch to see if I would like to try a dress. The Gemma Collins Collection is great for giving glitzy, glam clothing options to plus size ladies and for that it has to be applauded! At the moment the The Gemma Collins Collection goes up to a size 26 (although I believe some of her options on places such as Simply Be go higher). When I spoke to the PR company I explained that their sizes wouldn't traditionally work for me, but that I would like to try them anyway! As you know, I am a big believer in working with what you have and ignoring clothing size labels! They were well up for working with me on the challenge and so sent me this little beauty in a size 24! I really like the two sheer stripes at the bottom and think this gives the traditional little black dress something a bit extra! I have to say that the quality of this dress is fantastic. It's quite a thick material which has a good amount of stretch to it! The dress fits me OK, although it probably shows a little more flesh than I am willing to show because it comes up quite short. That said, if you were a size 26 you could easily make this size 24 dress work for you in a traditional way. Now, the dress is such a lovely quality that I didn't want to give up on it! So.... Here's how I wore it! 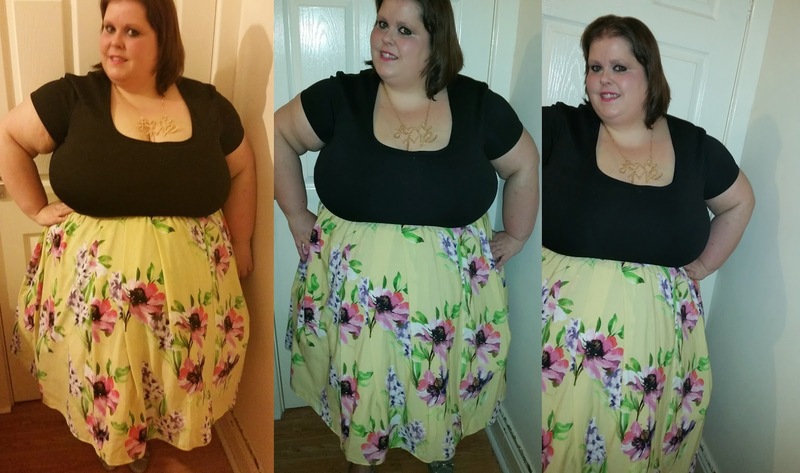 I went to a 30th birthday celebration at the weekend and I decided that my Scarlett & Jo skirt would love to attend with me. So, I teamed it up with the dress. As the dress is a tight fit I think it looks great, especially because it is such a thick sturdy material so pulls me all in and gives me a great shape. So - there you have it. Never give up on a dress just because you think it won't fit! The Gemma Collins Collection has some great Valentines dresses so make sure you check out her range!